WildAid, the global nonprofit leading the fight to end the illegal wildlife trade, brought out many stars and celebrity ambassadors to the gala. Danai Gurira and Bryce Dallas Howard were honored as this year’s Wildlife Champions for their partnerships and work with WildAid. Gurira accepted her award and spoke about her childhood in Zimbabwe and her deep appreciation and connection to wildlife. 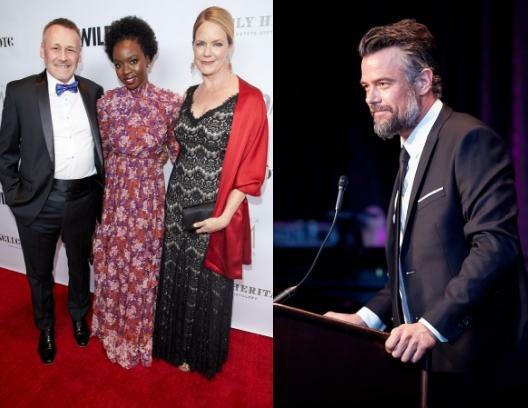 Other celebrities that came out to the gala in support of WildAid were Josh Duhamel, Michael Cudlitz, Maggie Q, Dylan McDermott, Bo Derek, Eli Roth and more. The night kicked off with a cocktail reception and silent auction. As guests mingled and drank, stilt performers dressed as wild animals roamed around the auction, posing next to people for photos. One of the silent auction items, the Disco Shark (which even has its own Facebook page) sold for $18,000. Afterwards, guests took their seats and enjoyed a three-course vegetarian meal prepared by celebrity Master Chef, Martin Yan. A live auction took place later in the evening, where over $1 million was raised. It was inspiring to see so many people generously donate to wild life conservation efforts amidst a tragic time in Los Angeles due to the Woolsey Fires. WildAid is the only nonprofit group that focuses exclusively on reducing the demand for illegal wildlife products through public awareness campaigns with various celebrity ambassadors. 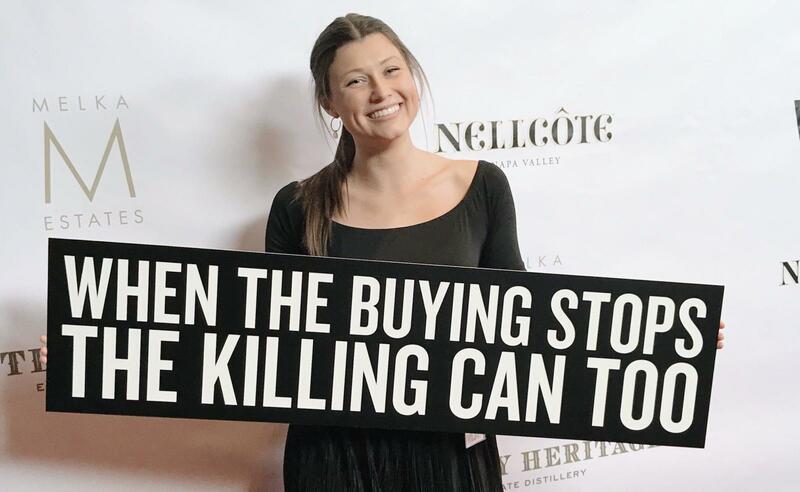 WildAid’s signature message is “When the buying stops, the killing can too.” Their campaigns have contributed to an 80% reduction in shark fin imports in China, a ban on ivory sales in China and a 50% drop in the price of rhino horn in China and Vietnam.